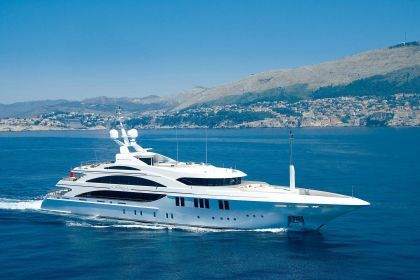 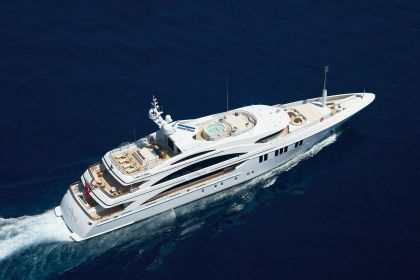 Andreas L has been designed and built by two of the top names in the superyacht world. 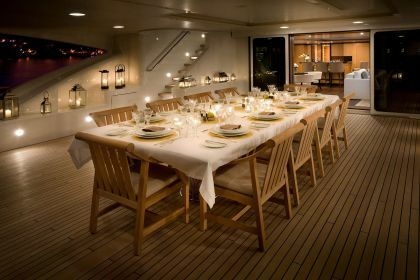 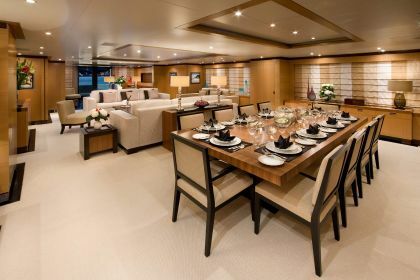 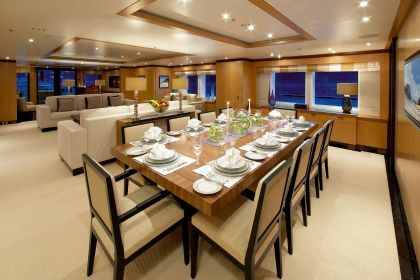 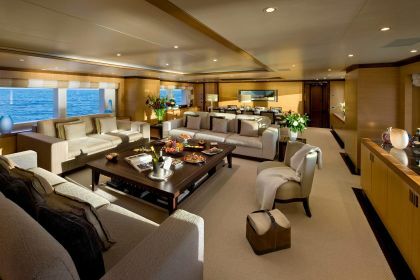 Guests feel secure in the knowledge they are aboard one of the world’s most successful superyachts, whose spacious, contemporary interior and clean lines are complemented by proven technology. 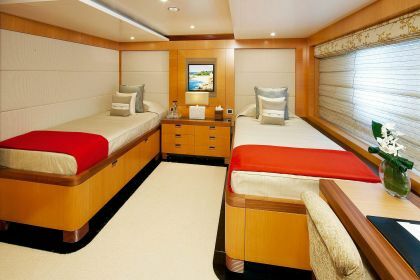 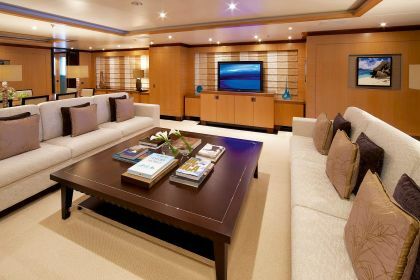 A master, VIP, two doubles and two twins cocoon guests in their private space, each suite finished in the finest natural materials and colours, offering a good view at anchor and top audio-visual entertainment and communications systems. 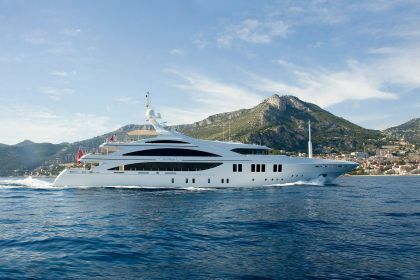 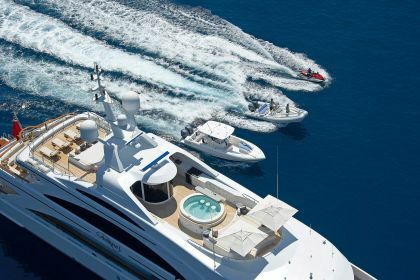 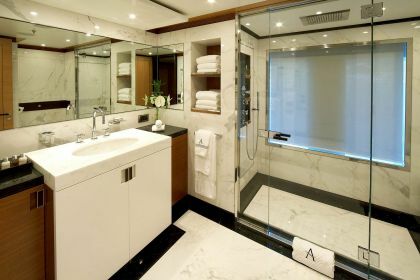 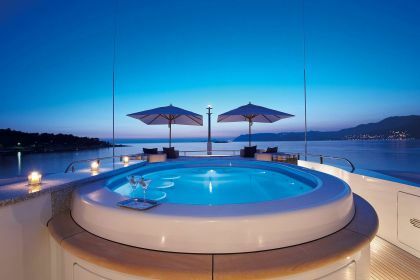 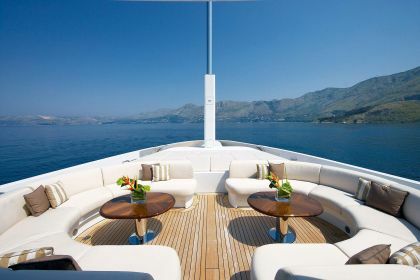 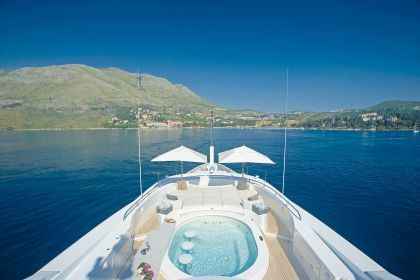 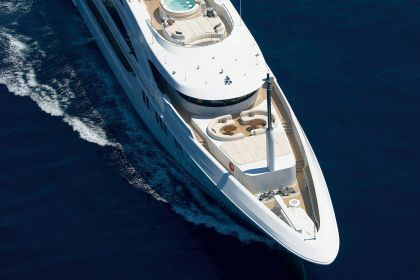 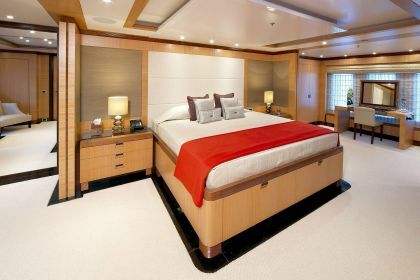 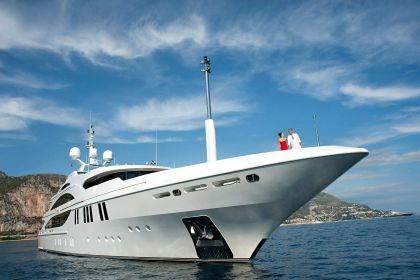 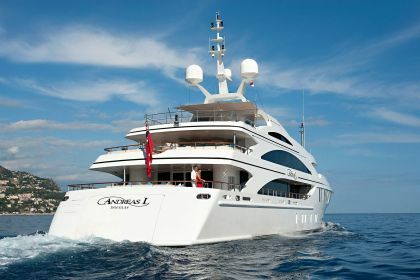 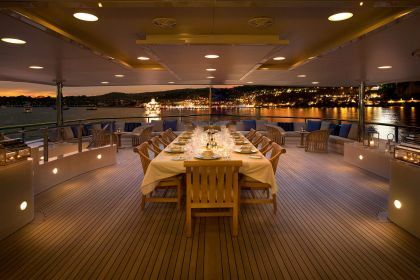 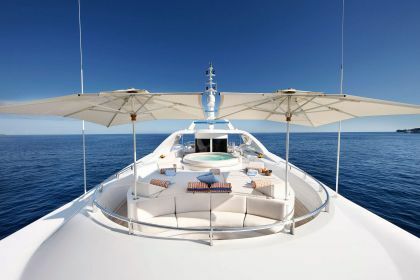 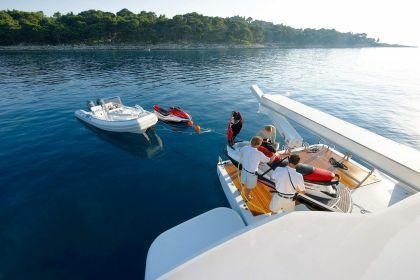 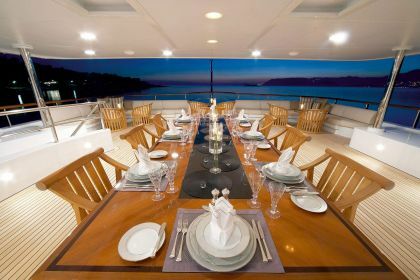 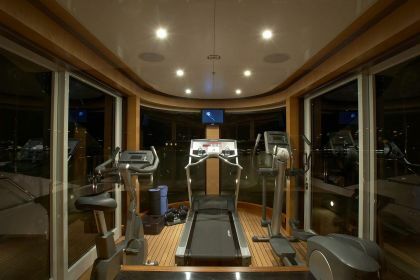 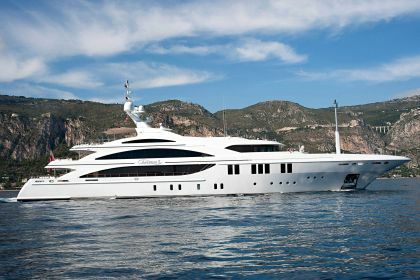 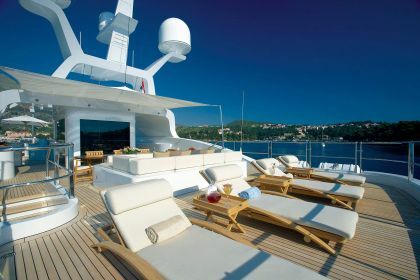 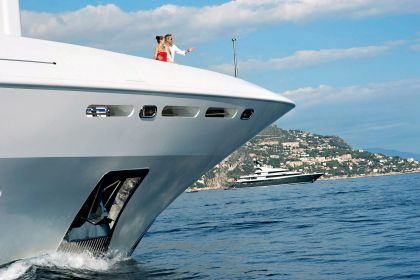 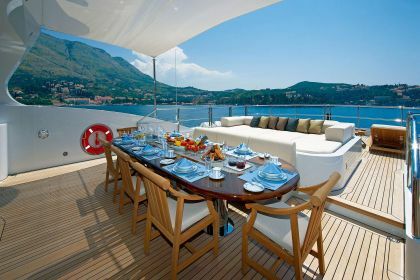 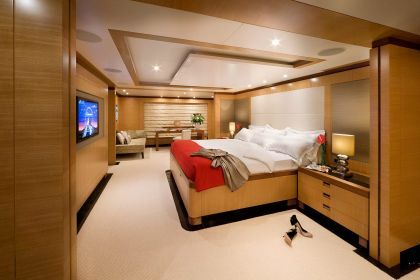 The yacht offers huge outdoor areas, the sun deck boasts a fully equipped gym and an illuminated Jacuzzi. 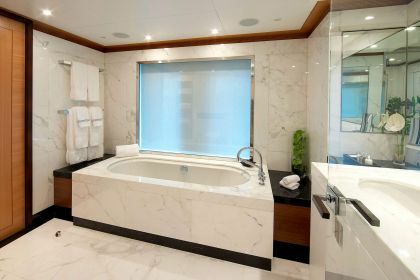 With a dedicated massage room, a fully trained masseuse / beautician will pamper the guests to the highest standards in massage therapy and beauty treatments.